During cold months food resources become low and birds need our help to survive. 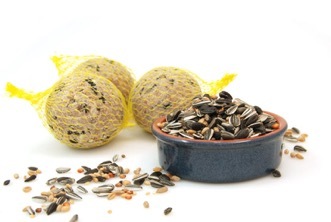 Seeds, Nuts & Suet balls are formulated to attract most small birds to the garden. These products contain either high energy seeds or high energy peanuts and provide most common birds with the energy they require to survive the colder weather. Call into your local Expert Hardware store and pick up some Seeds, Nuts & Suet Balls.